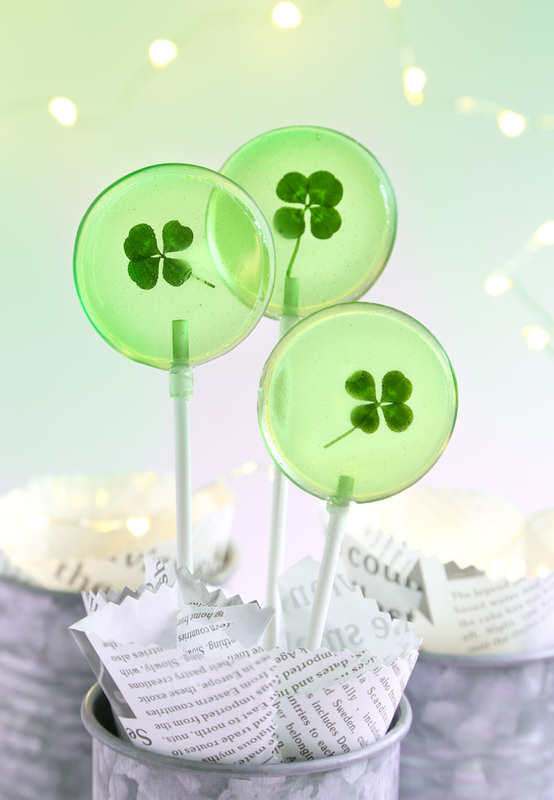 Considering tomorrow is the first day of March, I thought it would be good to dive into some St. Patrick's Day baking. 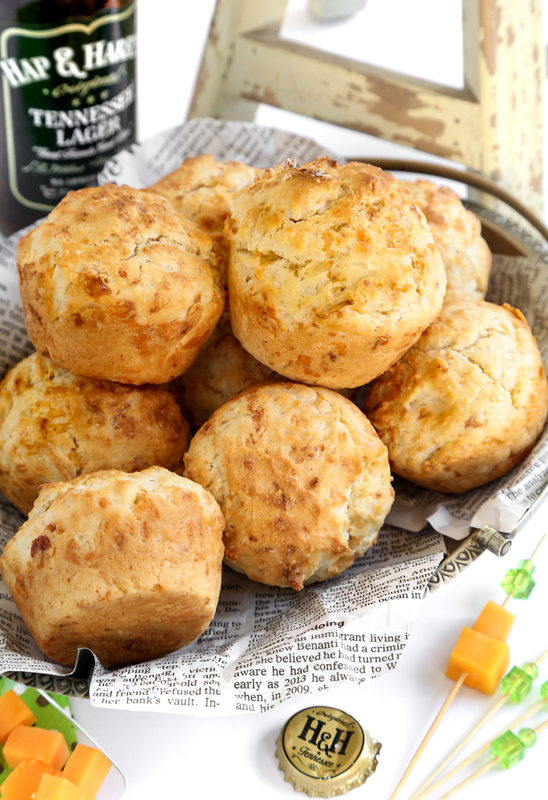 Not that you should wait for March 17th to make these beer bread muffins - oh, no - make them now! If you're new to bread making, then I'd like to suggest beer bread as your first effort. It's an easy fix with big payoff. I developed this cheesy version to dip into my favorite Irish stew. I baked the dough in a muffin tin because my favorite part of beer bread is the golden slightly chewy exterior, and you get more of that in muffin form. 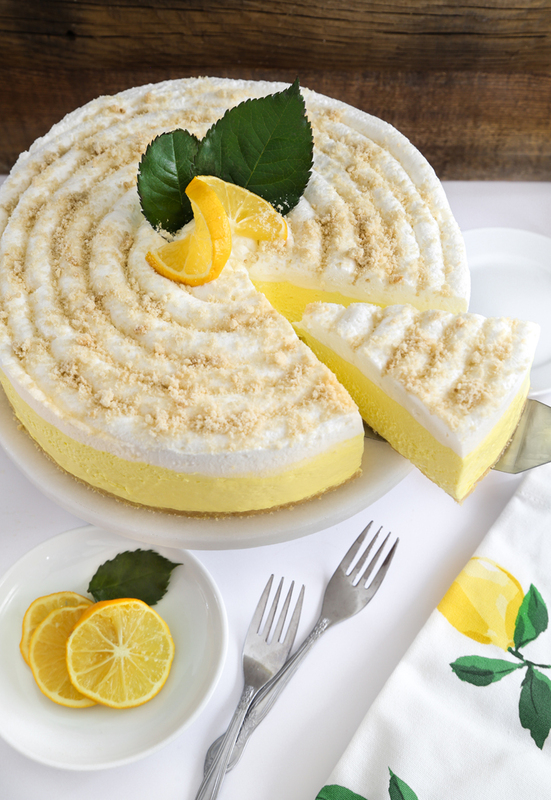 These sunny days have me in a lemony state of mind, and that is evident from all the zesty treats coming out of my kitchen. This cheesecake is a recent favorite. It's mild and creamy without a sharp note to be found. The citrus flavor shines through without a hint of bitterness. Even better? This cheesecake is no-bake which means no fussy water bath-baking. It is unseasonably warm here in the southern US, and my yard which is normally brown at this time of year looks like a green spring meadow. There are all kinds of beautiful little buds sprouting up, and clover is everywhere. Just seeing those emerald patches carpeting the ground inspired me, and made me remember that St. Patrick's Day is less than a month away. 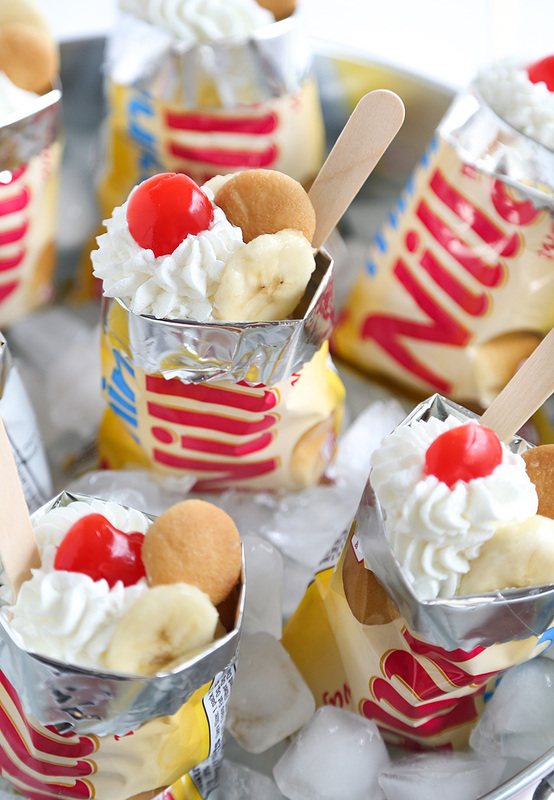 I think these pops would make an excellent treat for the holiday, or a nice gift to let someone know how lucky you are to have them in your life. I hadn't planned a blog post for today but this smart little recipe convinced me to go ahead and share. I've been on a major smoothie kick for the last few months. My steadfast favorite is bright green because I load it with leafy greens that I don't get enough of with regular eating. Even though I love my green smoothie I sometimes need a break from it and that's how I discovered this drink. It's from one of my favorite out-of-print books called The New Mayo Clinic Cookbook. 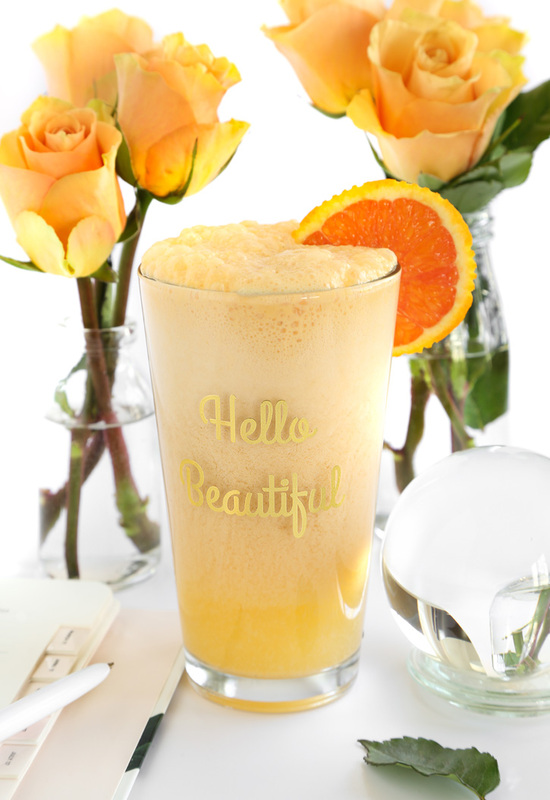 It's light and healthful with flavor reminiscent of orange Creamsicle ice cream. 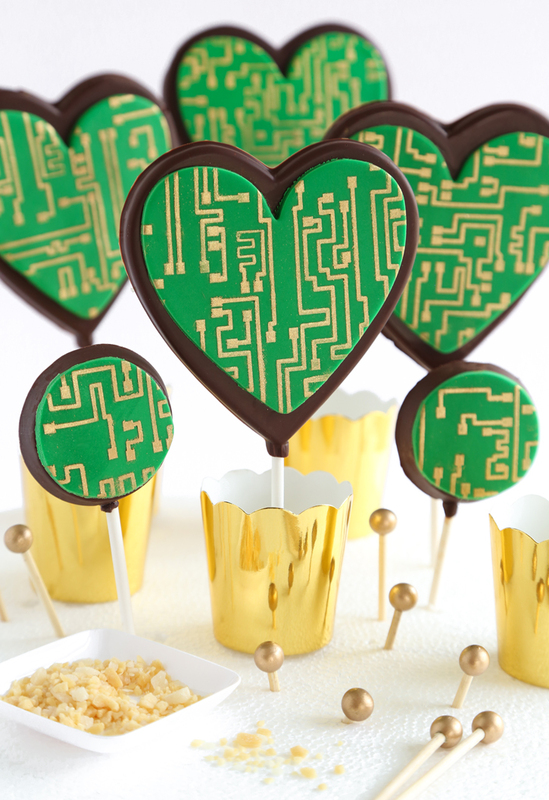 These circuit board lollipops make cute edible gifts for the tech-savvy people in your life. Circuit boards have tracks that conduct electricity, so I thought it would be neat for these treats to fizz and crackle when you eat them. What makes this possible? You might have guessed Pop Rocks, which is mostly correct. I used plain carbonated candy, which is essentially the same thing except that it's not fruit flavored and it seems to have an extra ounce of popping power. 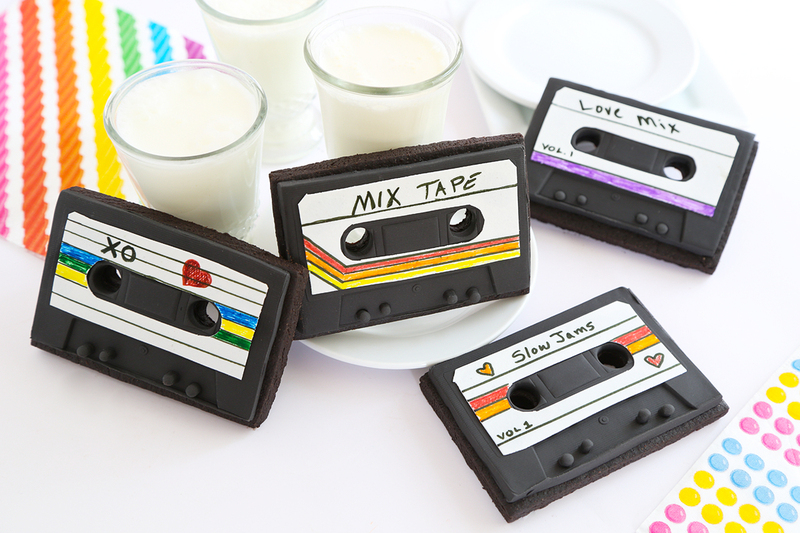 Here's something totally retro for your valentine this year- mixtape cookies! Back in the day mixtapes were the easiest way to communicate your feelings to your beloved without having to say a word. I mean, why even try to articulate your affection when David Bowie or Duran Duran could do it so much better? These homemade music compilations have since been replaced with playlists on Spotify and iTunes, but nothing can replace the experience of recording a mixtape. The time and effort it took to orchestrate the perfect audio love letter is what gave it so much value, and makes it so nostalgic for people who still love the 80's and 90's (like me!). Is there anything left for me to say about these cupcakes that the pictures don't already communicate? Maybe not, so I'll let them do most of the talking in this blog post. I'll just add that they are delightfully rich with hot fudge-drizzled dark chocolate buttercream. 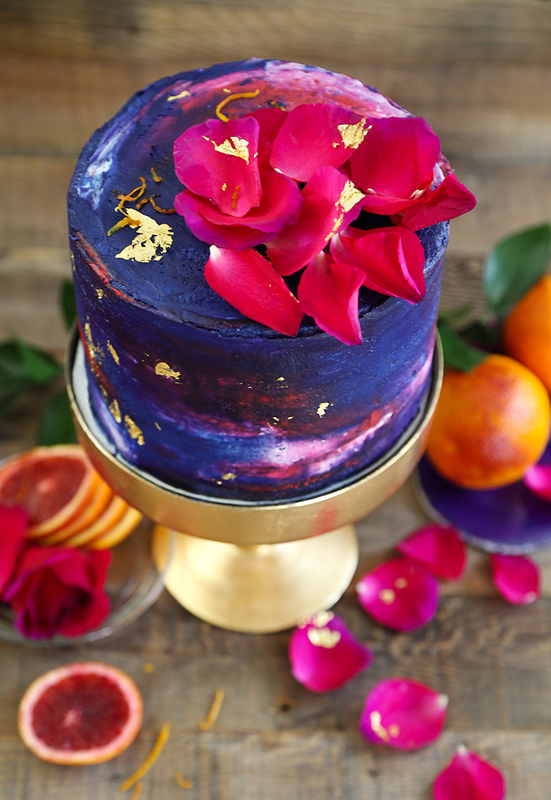 All of that richness sits atop lightly sweet black devil's food cake. 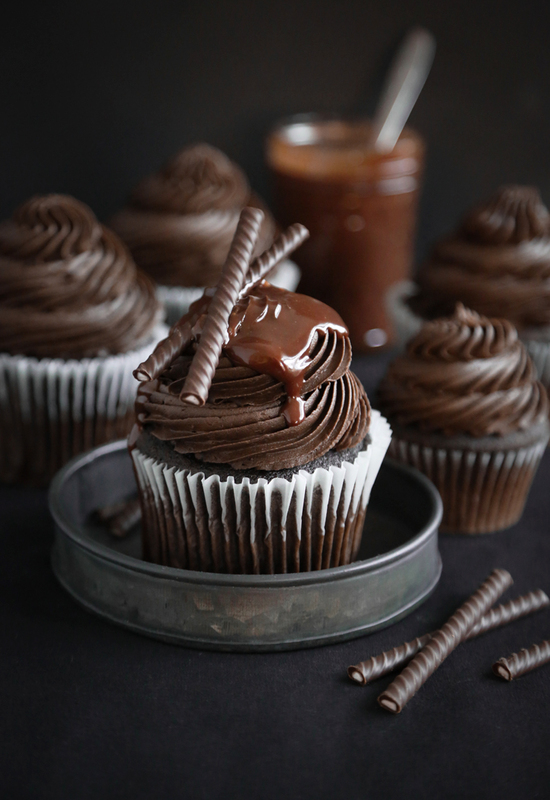 I'd venture to say they are better than any bakery-made chocolate cupcake I've ever tried. Ah, Fruity Pebbles. My childhood in a bowl. I'm still fond of this cereal. My favorite part is the purplish-grey milk that's left behind after all of the pebbles have been eaten. It's a last sip of super-sweet concentrated cereal flavor, which is delicious despite how weird it looks. This was my first time making Fruity Pebbles Treats, which I should have been making all along. They are just as crave-worthy as their Krispie Treat cousins, but more colorful and bright-tasting. 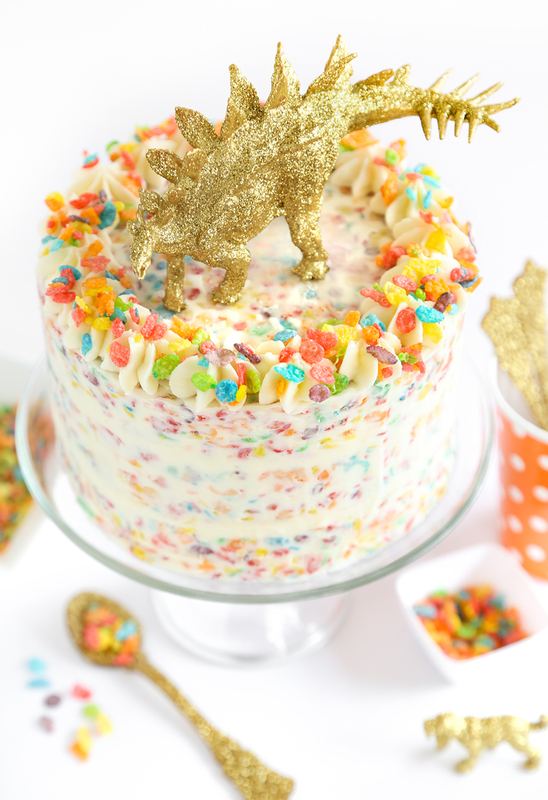 They look like a celebration, so of course I had to make a Fruity Pebbles Treat party cake!